I work with people who are living with the after effects of stressful, painful and traumatic experiences. My approach combines touch and body awareness to support a deeper physical presence so they can feel more comfortable in their own skin. How we hold stress varies with each individual and context. During periods of high stress, we can feel physically and emotionally overwhelmed. The more we can accept our sensations, feelings and emotions, the more choice we have in how to interact with the world around us. Meeting ourselves in this way opens the door to resilience and healing so that we can experience life more fully. Since 2003, I have practiced in private clinics across Sussex including 12 years in a residential hospital within the NHS. I have trained extensively in Craniosacral Therapy and several approaches focussing on trauma, pain and stress. As a senior tutor for Body Intelligence Training, I teach Craniosacral Therapy to students internationally. I also offer clinical supervision to Craniosacral Therapists and many other movement and body oriented practitioners. 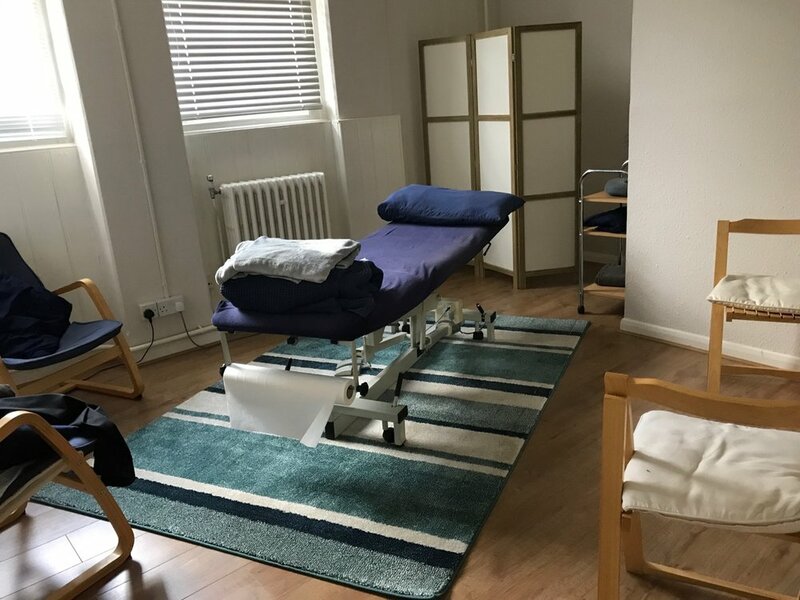 People come for Craniosacral Therapy as part of their recovery from stressful, traumatic and painful experiences and also to support their wellbeing. My main experience is in working with stress, anxiety, post-traumatic stress, panic attacks, post surgery/dental care (particularly following anaesthesia) and in supporting symptoms & side effects in long-term illness. I practice from clinics in Brighton, Haywards Heath and Lewes. The clinics are easy to access from the surrounding areas of Hove, Shoreham by Sea, Portslade, Seaford, Newhaven, Eastourne, Uckfield, Worthing, Crawley, Burgess Hill, Hassocks and the villages of Mid Sussex. NB: The sessions I offer are in complementary therapy and are not a substitute for medical care. If you are concerned about your health please also contact your GP. Explores the spine in relationship to the whole body’s health, building in the foundations of seminar 1. Explores the dynamics of the face and the special senses. Particularly looks at the pivotal relationship of the jaw and throat to the whole body through physiological and psycho-emotional expressions. Sign up with your email address for post-graduate workshop news and clinic updates. Emails are sent only a few times per year. We respect your privacy. Your details will be held securely and will not be passed on to any third parties. You can unsubscribe at any time.